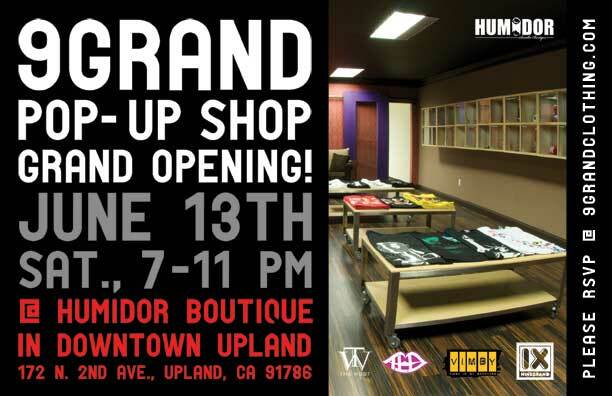 9 Grand is having a grand opening event for their Pop-up shop inside of the Humidor Sneaker Boutique in Upland, CA on Saturday June 13th at 7:00pm. 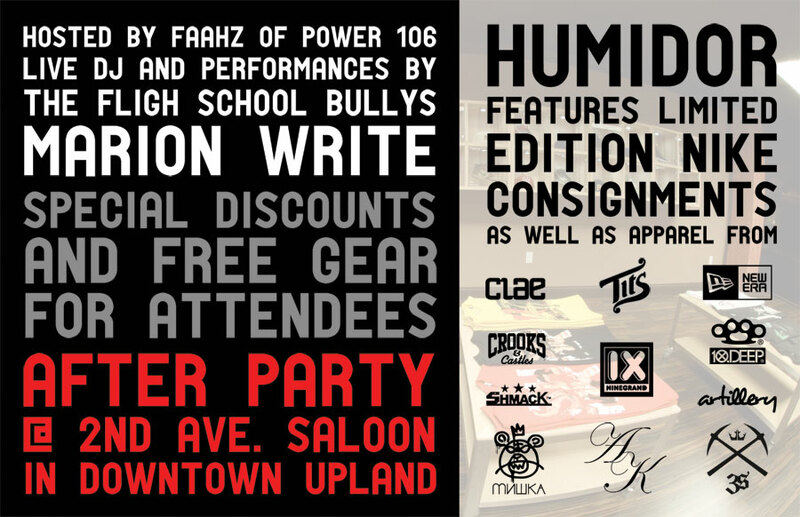 The opening will consist of Apparel Giveaways, Cocktails, Two Live Performances and an After Party. The Pop-up Shop and concert will be open to all ages, the After Party on the other hand is only for 21+.Visit the website to get on the official Guest List.